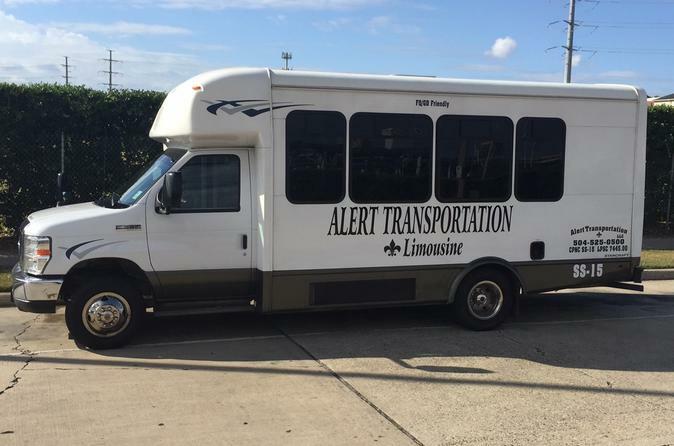 3 hour Private City Tour in a Small up to 14 passenger French Quarter Friendly Bus. Pick up from a New Orleans Hotel or New Orleans Address. This tour include a licensed tour guide whom can customize the tour to fit your specific interests whether it be music, history, architecture, horticulture, cemeteries or all of the above. This tour picks up and drops off from all major Downtown New Orleans Hotels. Join your professional licensed tour guide for a day tour of New Orleans. On this tour you will first visit the French Quarter and learn all of the history surrounding the French Quarter. Your guide is knowledgeable and will be sure to point out to you highlights and photo opportunities. After visiting the French Quarter you will then head to the Garden District of New Orleans. After viewing the garden district the tour then proceeds to visit the lakefront area and the 17th street canal, affected by the hurricane Katrina. Then visit the city park. Your guide will also take you on a Cemetery tour of St Louis No. 1, showing you some of the most unique grave architecture and burial plot management in the entire country. This tour can also be altered to your interest.